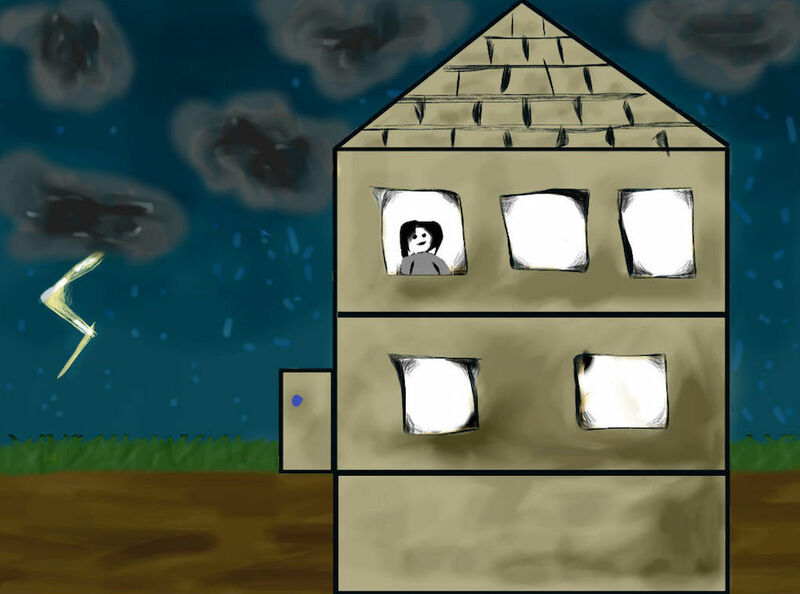 Imagine that you’re indoors during a thunderstorm, watching raindrops trickle down the window. Despite the storm, you remain dry and warm thanks to the building envelope protecting you from the outside environment. To design a well-functioning building envelope, engineers need to account for a variety of different factors. Simulation can help address this need. A building envelope, also known as a building enclosure, is a system that separates an interior environment from an exterior environment. For early humans, structures like caves and huts served as rudimentary building envelopes, providing necessary protection for our ancestors. While these early building envelopes provided shelter with the bare necessities, over time, building envelopes changed to include distinct components like walls, roofs, floors, and windows. However, the purpose of building envelopes remains the same: to protect inhabitants from the outside environment and elements such as water, heat, and cold. A building envelope provides protection from the outside environment. Modern building envelopes can be quite complex. Since architecture is constantly changing, there is also a steady influx of new products, processes, building codes, and designs. For each of these new elements, engineers need to account for structural stability, water penetration, energy conservation, thermal performance, and more. To efficiently study airflow, moisture transport, heat transfer, and other factors impacting the performance of building envelopes, Built Environments, Inc uses the COMSOL Multiphysics® software. This enables them to analyze how different physics work together simultaneously, as well as to study different stages of the architectural design, construction, and evaluation process. For all of these categories, simulation can be used to enhance Built Environments’ analyses. We’ll take a look at a few specific examples of their use of simulation next. Changing energy codes in the architecture industry have been put in place to increase the energy efficiency of buildings. However, keeping up with these codes can pose a challenge to architects. 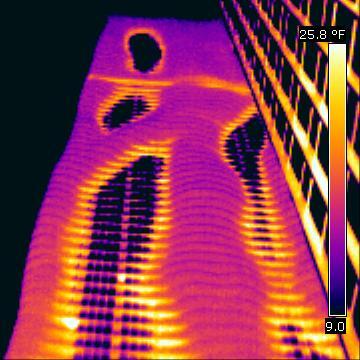 A thermal image showing heat loss through floor slabs that extend through an insulated building envelope. Image in the public domain via Wikimedia Commons. 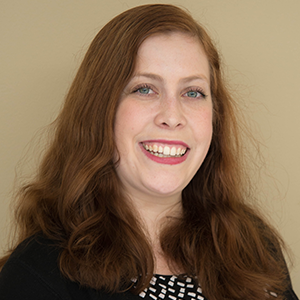 Although thermal performance values can be calculated by conventional means, Doggett mentions that the ASHRAE Standard 90.1 building codes allow simulation to be used as an alternative to assembly testing. 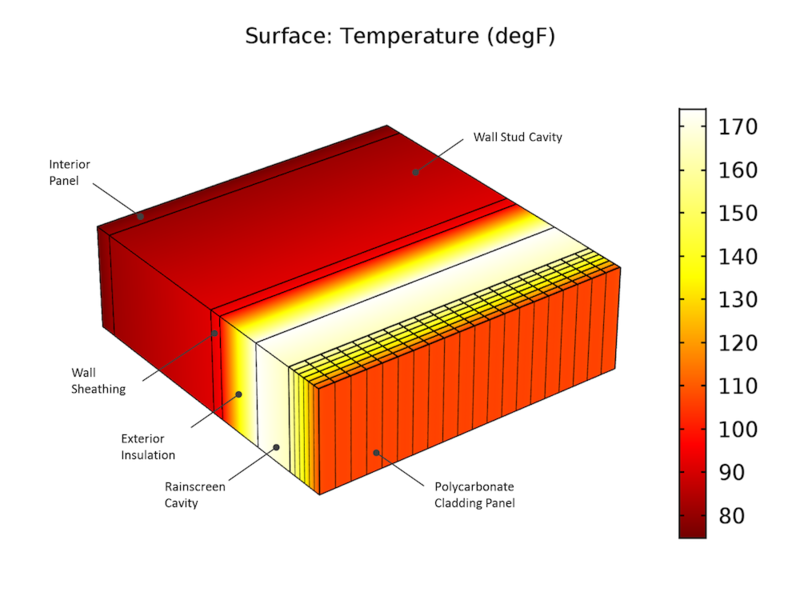 This is beneficial because properly benchmarked simulations can efficiently calculate thermal performance values for a variety of potential climate and material combinations, speeding up the design process. For instance, consider using CFD simulation software to determine the thermal performance of a wall assembly. To do so, engineers first have to properly benchmark their simulation against real-world hot box tests. When the Built Environments team performs these types of analyses, they aim to keep their results within ±2.5% of current hot box practices. Generally, their simulated R-values deviate by less than 1% from hot box tests, proving the accuracy of the simulation. Benchmarked simulations for a standard steel stud wall to corresponding hot box tests. The simulated R-value of 10.44 differs from the test result by only -0.57%. Although thresholds of ±8% for simulation vs. tested transmittance values are generally accepted for validation purposes, Built Environments’ results are generally within 2.5% of results from current hot box practices (ASTM C1363). Keep in mind that the accuracy of hot box testing is ±5%. Images courtesy Steven Doggett. How can architects avoid these types of situations? Doggett says that his company uses COMSOL Multiphysics as a “preventative tool” that can help “gain insight into design issues.” This works because simulation enables architects and engineers to refine their designs prior to construction and predict how a system will respond to different environments and conditions. Identifying design issues early is crucial, because fixing building enclosure problems is very expensive, sometimes costing as much as constructing the building enclosure in the first place. 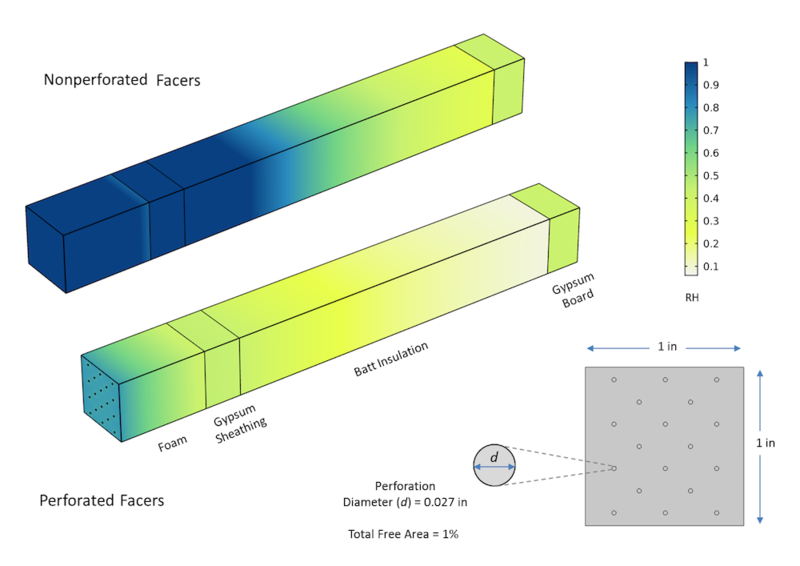 Simulation results comparing perforated and nonperforated foil-faced insulation. Adding perforations to the insulation can improve moisture performance of the building enclosure during steady-state winter conditions. Images courtesy Steven Doggett. Additionally, simulation enables architects to more easily visualize potential problems in their designs by portraying complex problems in a 3D manner. Since the architectural community is “visually oriented,” as Doggett mentions, this is a particularly useful benefit. We’ve discussed preventing building envelope issues using simulation, but what happens when there are preexisting issues? In these cases, the Built Environments team uses simulation to perform architectural forensics. This process involves assessing and investigating flawed building designs to determine the cause and duration of the damage and the potential for future damage. In this particular example, the cladding of the rainscreen system was made of a translucent polycarbonate, through which some light and heat can move. While aesthetically pleasing, the solar heat gains were causing the exterior foam insulation to melt. 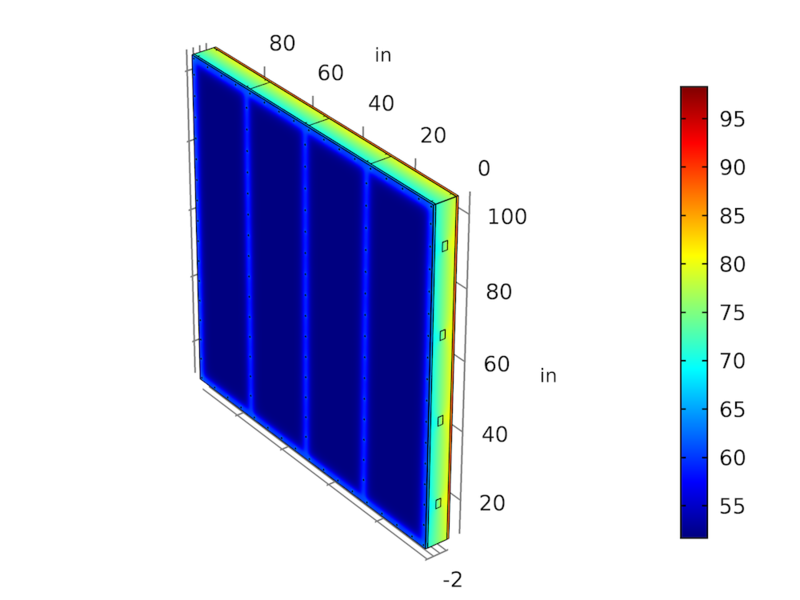 CFD simulation of a polycarbonate rainscreen system where as-built conditions resulted in unexpected solar heat gains. The problems included panel deflection and surface melting of XPS insulation. 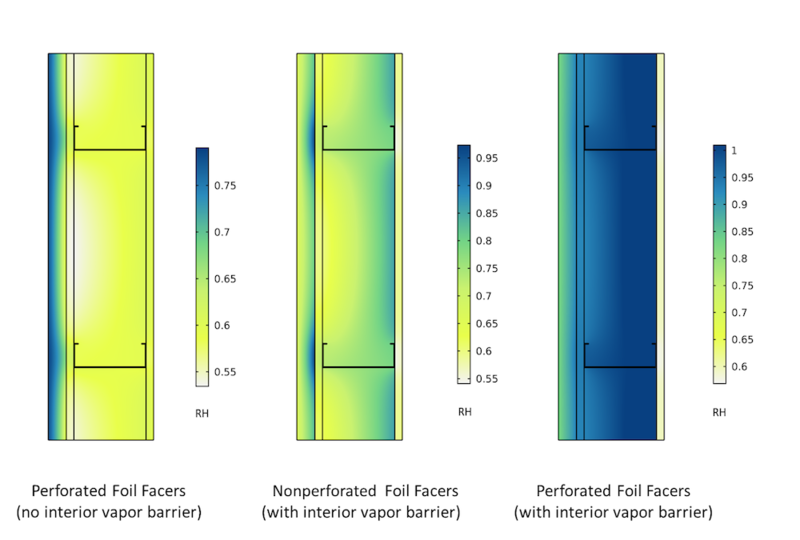 CFD analysis for the rainscreen retrofit successfully identified the maximum-allowable solar heat gain and minimum-required ventilation requirements. Image courtesy Steven Doggett. Architecture is a very applied and “boots on the ground” industry. As such, Doggett stresses the importance of benchmarking to actual physical tests when using simulation for building physics and in the architecture industry as a whole. Benchmarking is needed to increase confidence in simulation results. Another challenge that comes with architectural applications of simulation is the wide variation in scale required in building analyses. For example, small-scale features of a building, such as the previously mentioned rainscreen, can affect the thermal efficiency of the entire building. Doggett mentions that you can address such variations in scale by using 2D and 3D modeling and the meshing capabilities of COMSOL Multiphysics. Despite these challenges, simulation can be used to address a wide variety of architectural design, construction, and evaluation needs, helping to form the foundations for future building designs.